Greek, Etruscan, & Roman Bronzes (MFA), no. 099. 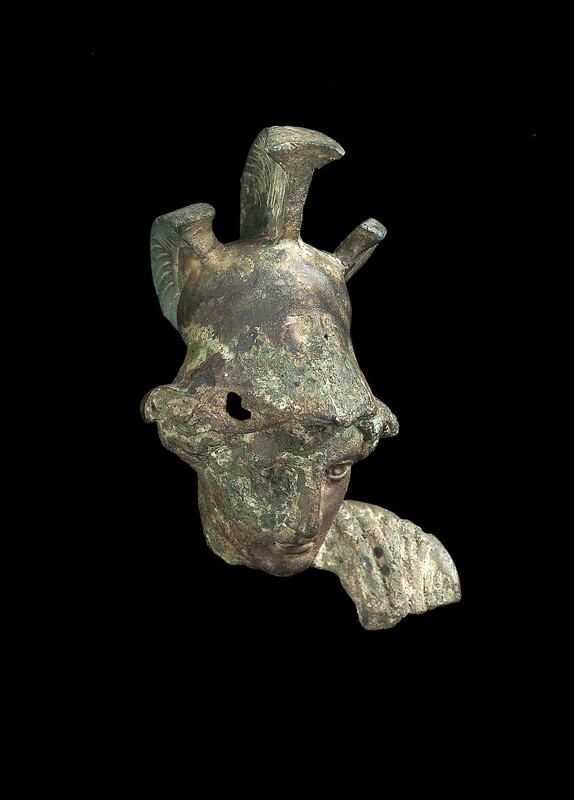 Fragment of a statue; only the head with triple-crested helmet, neck and part of left shoulder with drapery survive. Heavy green patina, much of which has been removed.